Deco Kit includes (1) Tablecover, (4) Foil Balloons, (12) Latex Balloons, (4) Curling Ribbon, (4) Balloon Weights, and (1) Paper Decorating Kit. 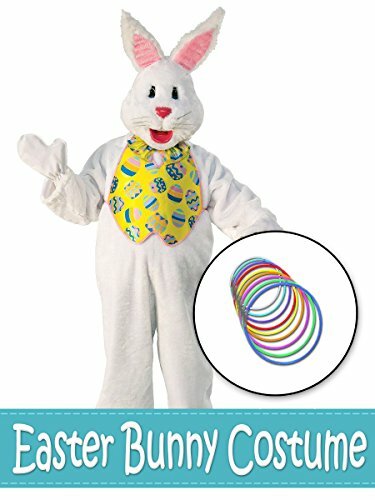 This Easter Bunny costume kit has exactly what you need for your Easter celebration! Includes (1) full-body suit with detachable vest and bowtie, (1) removable headpiece, (2) white mittens, and (8) assorted glow stick necklaces. Note: Kit does not include basket, Easter eggs or foam carrot prop.